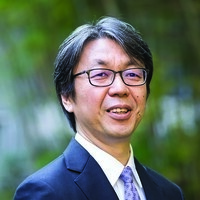 Hiroyuki Kobayashi, the Consul-General of Japan in Nashville, will deliver a public lecture on relations between the United States and Japan at the Howard Baker Center on the UT campus in Knoxville. All are welcome. Before arriving in Nashville, Kobayashi held many positions in the Ministry of Foreign Affairs of Japan in Tokyo and at the Embassy in Washington, DC, specializing in international treaties, maritime security, and international cooperation, including economic and cultural exchange programs. At UT, Kobayashi will speak about the history and current state of relations between the United States and Japan at a time when the ties between the two countries are more important than ever for the peace and prosperity of the international community. Free and open to the public.